Restore long-lasting comfort with Avène Antirougeurs Calm Redness-Relief Soothing Mask; a cooling and hydrating formula for redness-prone skin. Fortified with TRP-Regulin™ (a patented active ingredient), the calming, green-tinted mask brings relief to flushed and inflamed skin. The brand's Thermal Spring Water soothes itching, flare-ups and burning sensations to leave skin feeling refreshed with minimized irritation. Apply a thick layer on cleansed skin. Leave on for 10 to 15 minutes. Gently remove excess with a cotton pad. 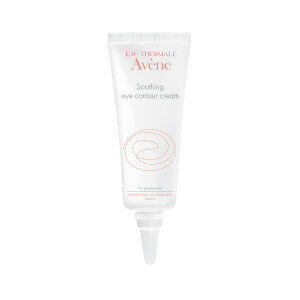 Avene Thermal Spring Water (Avene Aqua), Octyldodecanol, Glycerin, 1,2-Hexanediol, 4-T-Butylcyclohexanol, Acrylates/C10-30 Alkyl Acrylate Crosspolymer, Bht, Blue 1 (Ci 42090), Caprylyl Glycol, Disodium Edta, Hesperidin Methyl Chalcone, Methyl Dihydrojasmonate, Pongamia Glabra Seed Oil, Sodium Hydroxide, Tocopheryl Acetate, Tropolone, Water (Aqua).